Hey, friends! 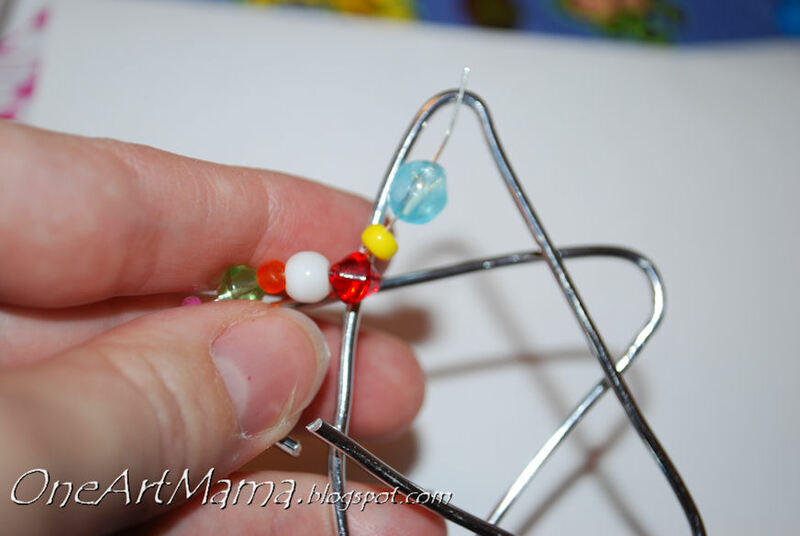 Yesterday, I guest posted over at Happily Mother After about these beaded ornaments. I hope you were able to check them out there, but if you have Internet Explorer as your browser like I do, you may have had some trouble. So, here’s the tutorial just in case you couldn’t get to it. Today, I’m going to share with you a holiday project that can be done with or without a partner in crime. I made the first few as a “big girl craft,” then let the little man help with one. STEP 1: Gather your beads. We used approximately 50-55 for the star and large cross. 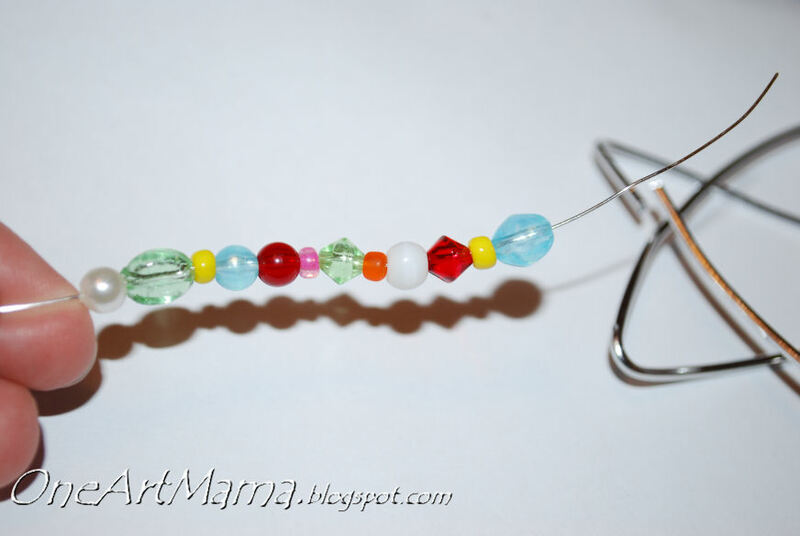 STEP 3: String beads onto your ﻿thin wire. Try to vary the colors, shapes, and sizes for a fun effect. This is the part Little Crafter helped with. I just gave him the wire and a pile of beads and he went to town. He did a great job! STEP 5: Once all your beads are on, do a bit of wire wrapping over top to finish up. 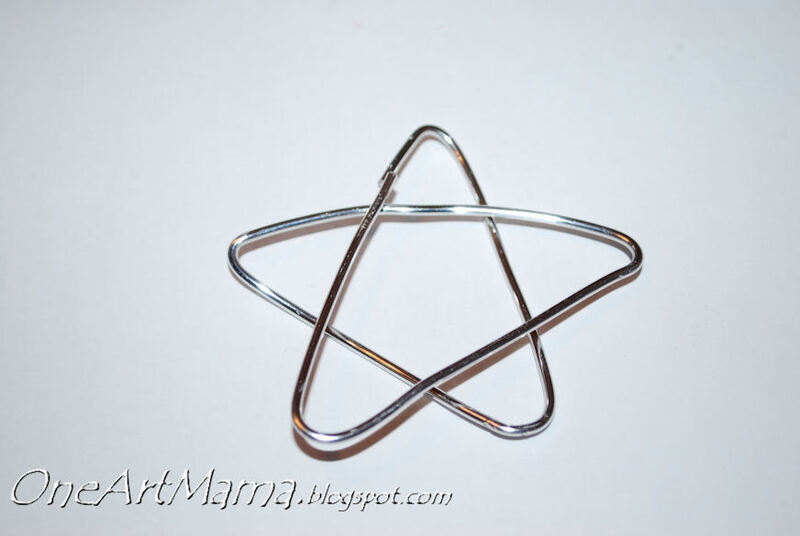 STEP 6: Attach ribbon or cord to make it an ornament or wall hanging. Or, add a magnet, a pin back…whatever you like. You can make a miniature version and turn it into a pendant with a jump ring. Here’s a look at the full size cross. This is the mini necklace version…and a size comparison. I used mostly seed beads for the pendant, while the larger ornaments had more 4-6mm beads. It was pretty simple, and I love the fun effect of all the colors. I think the ornaments will look great on the tree when they catch the light. 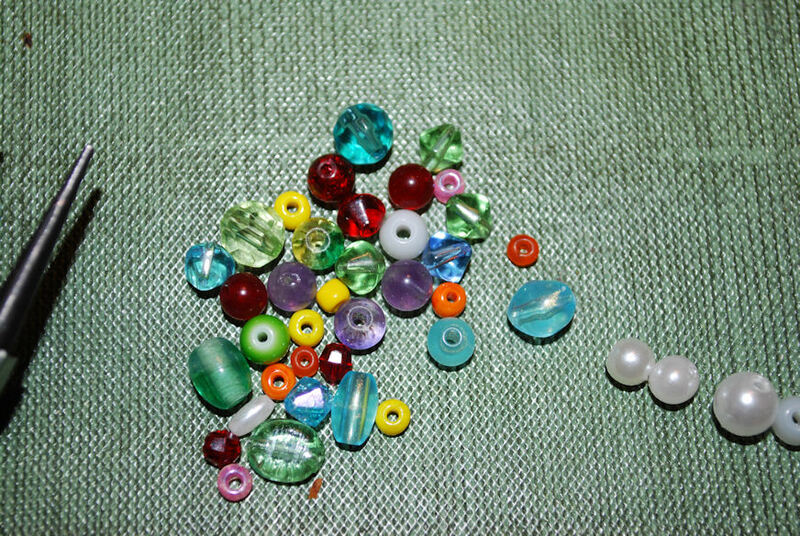 I’m also glad to have a good way to use up spare beads that haven’t gotten used in other projects. If you try something similar, I’d love to see how yours turn out! And, if you’re looking for another fun project to do with your spare beads, check out my post at My Favorite Finds today where I’m sharing about this necklace. Have a wonderful holiday season filled with blessings, joy, and of course, crafting! I always wondered how these were done – now I know! Thanks for sharing! You are really good at this! Wow! These are so beautiful — thank you for sharing! Wow, those ornaments are awesome! 🙂 Great job! Thank you for sharing at Sharing Saturday, Amy! Thanks for the great ideas. It will be a fun project with the grandchildren. Happy Holidays. Wow, these are so cute, too bad I just found them after Christmas is over. But, I belong to a senior craft class and I want to show them how to do these for 2015. That’s great, Fran! I hope you enjoy making them next Christmas!